Mules start fast and never look back in victory over Camels. 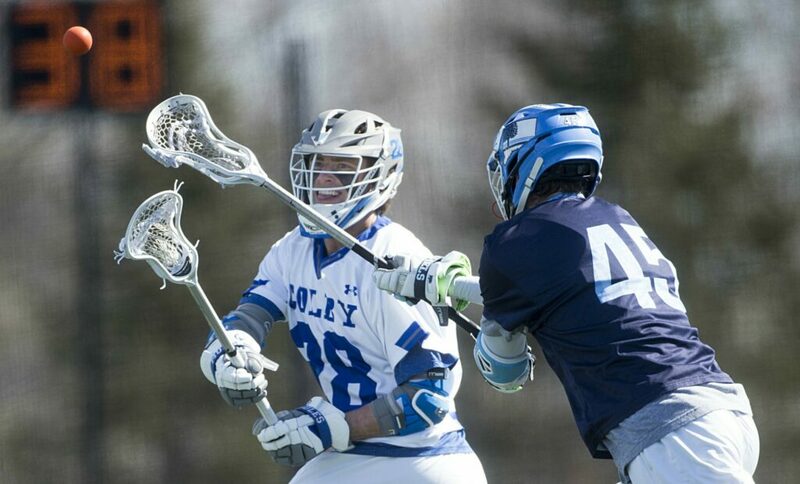 WATERVILLE — First, the Colby College men’s lacrosse team took control. Then the Mules spent the rest of Saturday afternoon proving they weren’t going to give it up. 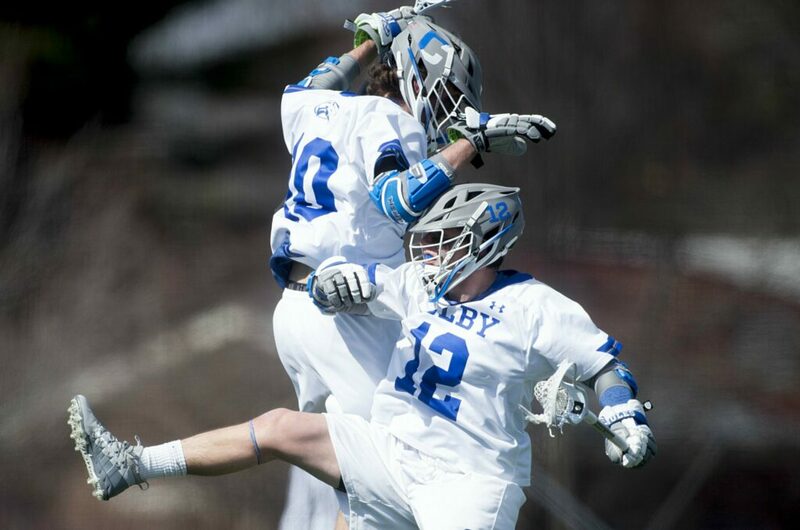 Lane Kadish had five goals and two assists, Charlie Lynch had two goals and five assists, and Colby rolled to its first New England Small College Athletic Conference win of the season, a 17-11 decision over Connecticut College at Harold Alfond Field. Colby scored the game’s first three goals, and five of the first six, en route to improving to 3-3. Connecticut College, led by three goals and two assists from Jack Rutter, fell to 3-4. Answers and responses were themes of the day. Six of the Camels’ first nine goals were followed by Colby scores, and the Mules won 22 of 31 faceoffs to deny their opponent the momentum it needed to sustain rallies. Colby put that mentality to work early. The Mules surged to a 5-1 lead 10:09 into the game on two goals apiece by Kadish and Lynch and another by Bret Miller (two goals), but Connecticut College got a pair of scores from Sean Smith to narrow the gap to 5-3 by the end of the first. Colby — which saw Kadish answer the Camels’ first goal in only nine seconds — responded with the same type of push it used to start the game. Don Vivian (three goals) ripped a shot while twisting and falling and found the net only 41 seconds into the quarter, Riley Bergstrom came around from behind the net to score 1:22 later, and Vivian and Carter Vickers had goals with 7:09 and 6:34 left in the quarter, respectively, to stretch the lead again to 9-3. The Camels made another run, scoring two of the last three goals of the second quarter and then the first two of the third to trim the lead to 10-7. Colby didn’t let them get closer, as CJ Hassan scored off an assist from Kadish with 5:35 left in the third, Colton Michel finished a pass from Bergstrom with 2:35 to go and Kadish fit a shot in from a tight angle off a pass from Lynch for a 13-7 lead 20 seconds later. 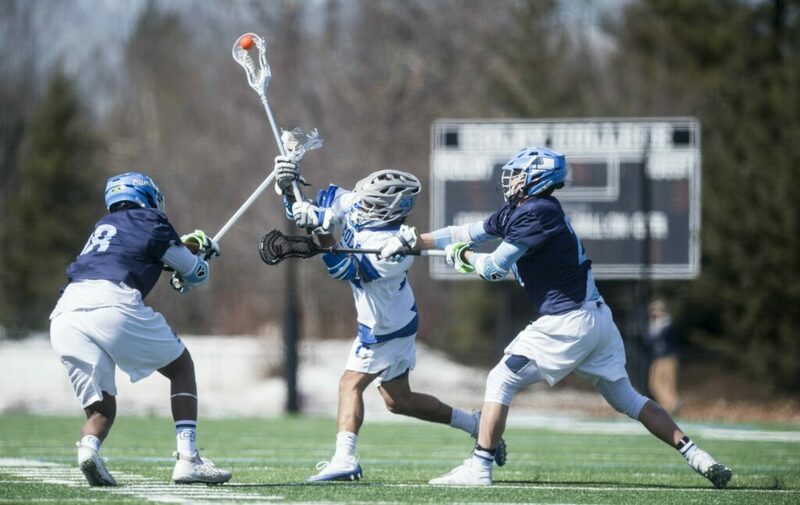 Connecticut College didn’t get closer than five goals the rest of the way and never got a chance at a final rally in a matchup it won 11-10 last year. Van Arsdale praised the work of his team away from the net as well. The Mules are hoping there’s more to come. Colby dropped two of its first three games, but gave No. 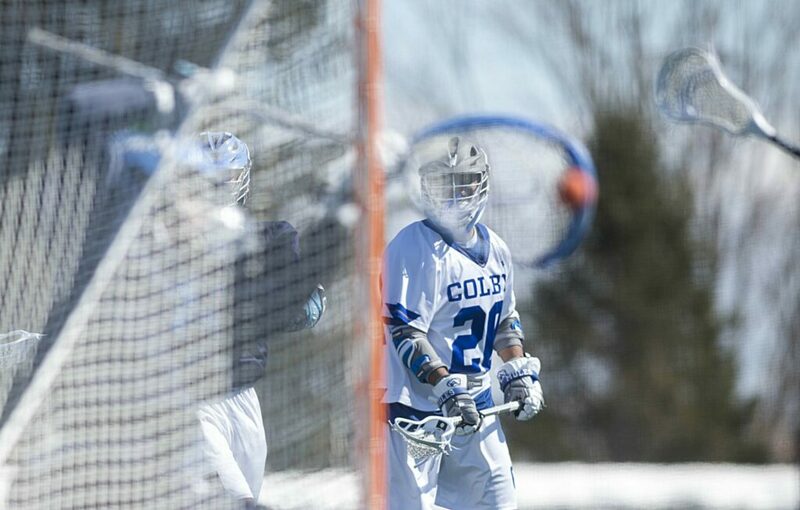 3 Tufts a test in a 13-11 loss on March 15 and will look to build on the momentum from Saturday.